Send them both to prison. 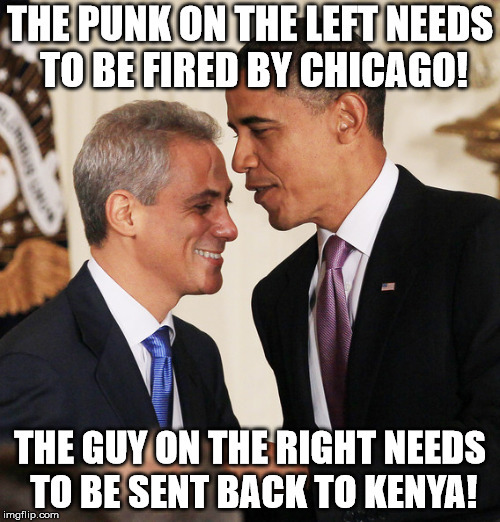 THE PUNK ON THE LEFT NEEDS TO BE FIRED BY CHICAGO! THE GUY ON THE RIGHT NEEDS TO BE SENT BACK TO KENYA!